Saint Nicholas is the protector of sailors and therefore has a special connection with the Russian Navy. 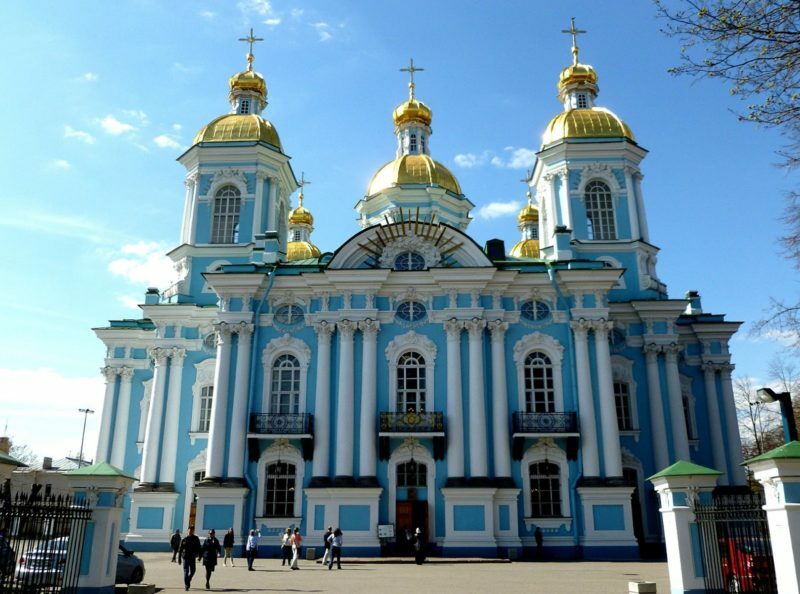 This Cathedral was the main shrine of the Navy until the revolution. On completion in June 1762, Empress Catherine the Great herself attended for the consecration of the building, which is executed in the style of magnificent Russian baroque. This two storey Cathedral is cross-shaped in plan, and is crowned by five widely spaced gilt domes. All the prominent corners of St. Nicholas Cathedral are lavishly decorated with mouldings and columns in the Corinthian style. The architecture of the building traces the motifs of ancient Russian architecture. The magnificence and elegance of St. Nicholas' Cathedral is emphasised: a rich entablature with oval windows of the upper church, moulded garlands of flowers and window frames, beam gables, etc.